Jellore Holdings Pty Ltd T/A Mittagong Antques Centre Pty Ltd of PO Box 766 Mittagong NSW 2575 Australia. ABN 22 601 513 964 is a supplier of various antique products (Products). Mittagong Antiques Centre has agreed to sell and the Buyer has agreed to buy Products by purchasing orders from time to time on the following terms and conditions which have been agreed by the Mittagong Antiques Centre and the Buyer (Terms and Conditions). The price of the Products payable by the Buyer is the price that is published in the Mittagong Antiques Centre current online price list. Payment for the Products must be made prior to delivery and the Products will not be dispatched for delivery until payment in full has been received by the Mittagong Antiques Centre, including delivery and insurance charges if applicable. If the Buyer does not pay any amount owing to the Mittagong Antiques Centre under these Terms and Conditions within 48 hours (2) days of the sale date then the item will be relisted for sale in our online shop or placed back instore. The Mittagong Antiques Centre will ensure the Products are safely and securely packed for transportation to the Buyer at the Delivery Address specified by the Buyer. The costs of packing and transportation are to be paid by the Buyer and will be invoiced by the Mittagong Antiques Centre. On some items there will be Pick Up Only specified and it will be the buyer’s reponsibility to collect the goods within a two (2) week period from the sale date. All items posted will be sent by registered mail only (signature required) and an option for insurance will be available for parcels at an additional cost to the buyer. All items are sold as described. If writen evidence from a professional/reputable source stating otherwise is provided within 2 weeks of sale date then a refund or credit may apply. The parties acknowledge and agree that the Mittagong Antiques Centre is not responsible for any loss or damage to the Products in transit. Risk in the Products passes to the Buyer upon collection of the Products from the Mittagong Antiques Centre by the delivery courier or mail centre. Title in the Products free from encumbrances passes to the Buyer upon delivery of the Products to the Buyer or receipt of payment in full by the Mittagong Antiques Centre from the Buyer for the Products. Upon delivery of the Products to the Buyer, it is the Buyer responsibiltiy that they conduct a thorough examination of the Products within a seven (7) day period. That would have stopped someone from buying the item if they had known about it. 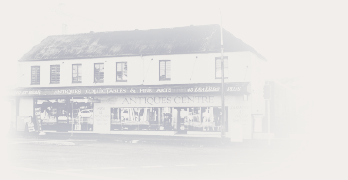 Buyer must submit for Mittagong Antiques Centre consideration a written request to return the Products with sufficient substantiation of the Buyer’s reasons for rejection. In such event the Mittagong Antiques Centre will respond to the request in accordance with its “Returns Policy” current at the time the order was placed.